Therefore all men are Socrates. Avesta is the name of the sacred books of Zoroastrianism. If you buy a used car, don't give them your email address. The spam blocker at work is mostly pretty good, but seems incapable of refusing a dozen messages a day from car refinancers and extended warranty sellers. US Patent number 6,677,947 titled Incremental frustum-cache acceleration of line integrals for volume rendering, has just been granted. The inventors are Adam Woodbury, Rick Sayre, Tom Lokovic and Tom Duff. Arthur Ganson makes mysterious machines. I was born and went to school in Canada, where we didn't have any of that pesky first amendment stuff. So we recited (sang, some years!) The Lord's Prayer in class every morning. Religious adherence is tricky to measure, because there's little people like to lie about more than piety, but the best-justified figures I can find indicate that about 20% of Americans attend church services regularly, but only about 10% of Canadians. Maybe that compulsory school prayer thing wouldn't have the effect its advocates want. I say bring 'em on! (Click thumbnail for big picture.) We have a new grandson, as yet unnamed. 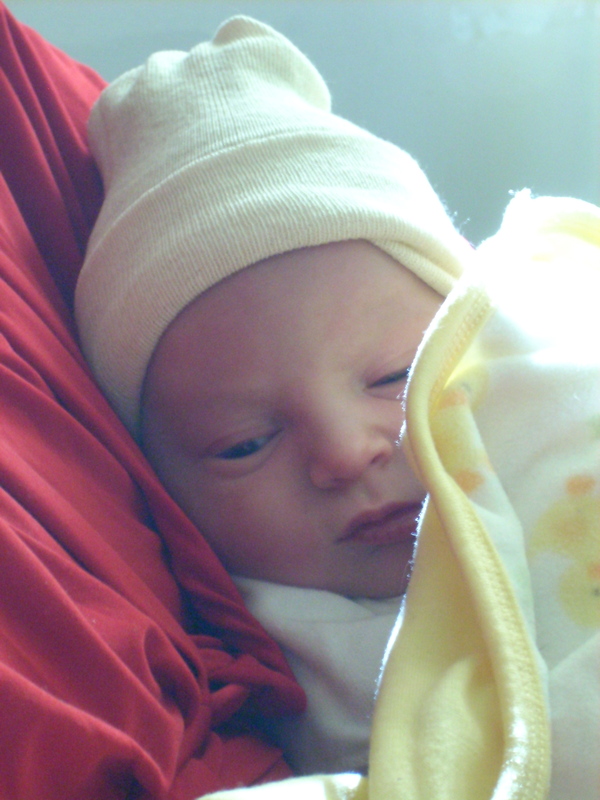 Baby Evanini was Born January 1, 2009 at 2:38 AM at the Hospital of the University of Pennsylvania in Philadelphia to Jamie and Keelan Evanini. He was 8 lbs 4 oz, 21-1/4 inches long, and perfect. Old News has items that have fallen off the New list.